... sending postcards: happy birthday, john lennon. As Google has already reminded you, today would have been John Lennon's 70th birthday had he not been killed 30 years ago. Although he died many years before I was born, like many, I am a fan of his music and his message. 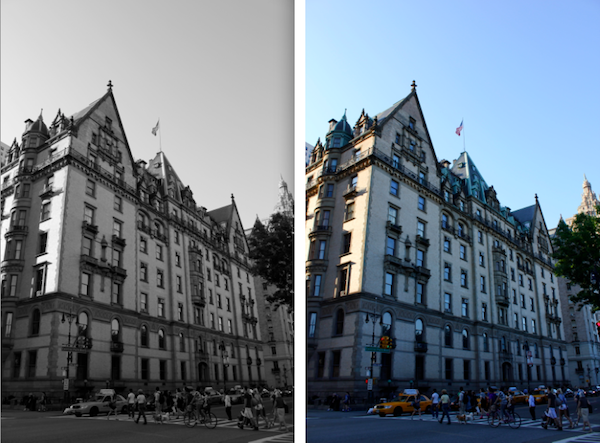 It may seem like a strange thing to do, but when we were in New York, I felt compelled to see The Dakota, where the former Beatle lived with Yoko Ono. It was in front of this same building where he was fatally shot. 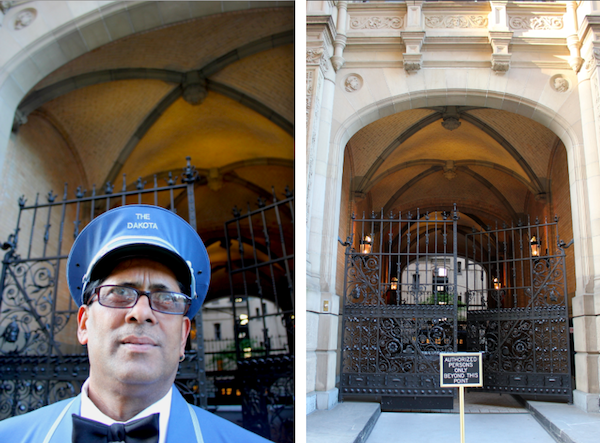 Located in the Upper West Side, on the northwest corner of 72nd Street, the enormous building is pretty hard to miss. It also happened to be the filming location of Rosemary's Baby , which is one of my favorite films. Out of curiosity, and to provide context to the dozens of Beatles biographies I've read, I wanted to see where Mark David Chapman got his Double Fantasy record signed and then later murdered Lennon. You can't help but feel a little sad when you walk near the entrance. 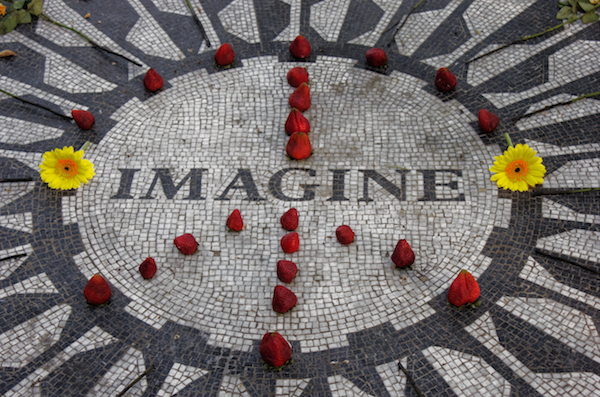 In contrast, the Strawberry Fields Memorial is a celebration of John Lennon's life. It is located right across the street. 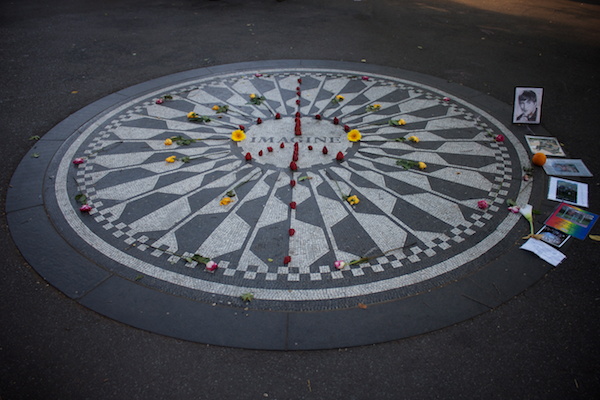 We sat on a bench in Central Park and watched people, locals and tourists, come and leave flowers on the mosaic of tiles.We talked about how we hope to, one day, visit the real Strawberry Fields that inspired the song. 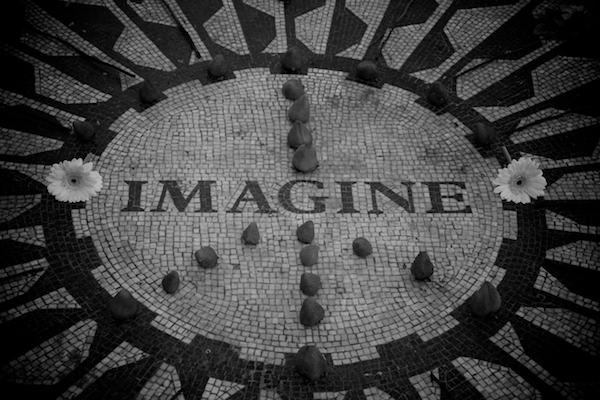 NEW YORK: LENNONYC, a new documentary, will be shown, for free, in Central Park at 7 p.m.
ICELAND: Yoko Ono and Sean Lennon are in Iceland where The Imagine Peace tower will be illuminated. LOS ANGELES: Apparently there is going to be some sort of party/mural decorating for fans at Lennon's star in Hollywood. Send us a note if you end up going to one, we'd love to hear about it or see your photos. I love the Beatles, I love Lennon, therefore I loved your post. I read Cynthia's book and it is, indeed, heartbreaking. I also read Patty Boyd's book (Harrison's ex wife) and it is sad too, but Cynthia's feels more real. Great post. 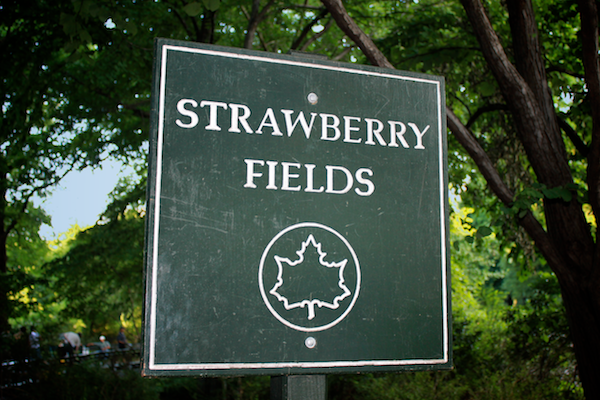 I had chills the first time I visited Strawberry Fields in Central Park. It can be such a moving experience. Gorgeous tribute to a gorgeous man. it's not a strange thing at all. If I was going to NY it'd be on my list of things to do! I listened to a great NPR interview with Cynthia Lennon over the weekend... you guys should check it out! we went to the lennon nyc screening. there were so many people.